In a Nutshell: Research shows many parents don’t fully understand how well their children are performing in school. Even for those who know their kids need to improve in the classroom, many are unprepared to provide the type of support their children need. Learning Heroes fills this need by providing an array of tools and resources parents can use to help their kids excel in school, thereby preparing them for success later in life. 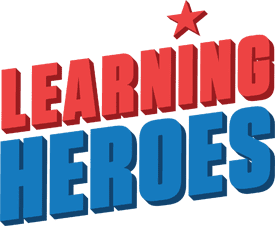 To help them along the way, Learning Heroes operates seasonal campaigns that guide parents so their children can get the most out of the public education system and enjoy more prosperous futures. When Ruth was young, she missed some key opportunities because her parents didn’t take an active role in her education. As an adult, Ruth resolved to learn from this and take a more active role in her daughters’ schooling. For example, her youngest daughter struggles with reading, so Ruth is hiring a tutor over the summer. This investment on Ruth’s part will help ensure her daughter’s reading ability doesn’t decline over the summer and that she’ll be fully prepared when returning to school in the fall. However, not every parent has the resources required to hire a tutor. Ruth recognizes her daughter needs help and is taking the right steps. But, according to a study by Learning Heroes, 90% of parents believe their elementary and middle school-age children are at or above grade level in reading and math, and 66% believe their children are above average academically. According to the Nation’s Report Card, it is closer to 63% of fourth-graders who aren’t reading at grade level, so there is a significant gap between parent perceptions and reality. When parents help their children succeed in school, it is a positive influence that often leads to success later in life. Learning Heroes focuses on helping parents understand how well their children are performing in kindergarten through eighth grade. It also provides resources parents can use to help their students meet grade-school expectations and prepare for high school and college. Best of all, these resources are all free and easily accessible. “We don’t charge anything, and everything we do is mobile friendly and available in both English and Spanish, because we want these tools and resources to be as accessible as possible,” Park said. Learning Heroes conducts research and collects feedback from parents across the nation. Based on the concerns and attitudes parents have toward their children’s education, Learning Heroes produces parent-friendly materials that encourage them to take an active role in their children’s academic success. Parents often turn to report cards as an indicator of academic performance — but these only tell part of the story. A student can be struggling in reading or math and still get a B because the grade isn’t only about mastery of a specific subject. It can also take into consideration homework assignments handed in, classroom participation, and other factors. That’s why it’s important to look at multiple measures to make sure your child is learning what they are supposed to learn, including the foundational skills necessary for them to go on to the next grade. Talking with teachers is one of the best ways to understand a student’s performance, progress, and pain points. Learning Heroes provides guides and tips to help parents communicate effectively with educators and maintain a continuous, productive conversation. “That ongoing dialogue with teachers is so critically important,” Park said. Another important measure of student capability is standardized test scores. These indicate how well a student has mastered subject-area knowledge, as well as critical thinking and problem-solving skills. Learning Heroes provides access to academic standards and guides that help parents understand their students’ scores, where they excel, and where there is room for improvement. But even if they understand these indicators of academic performance, parents may still be unable to engage in hands-on aid, such as helping with homework. Many parents are short on time, and learning methods have changed since mom and dad took algebra and English. Luckily, Learning Heroes also curates free resources that ease this friction. “If a parent doesn’t have time — and a lot of parents don’t — to brush up on certain skills, at least they’ll have a place to go where they can have tools and resources they can use with their children,” Park said. Learning Heroes hosts a lot of material to help parents help their school-age children — so much, in fact, that the sheer volume can be a little overwhelming. Thus, the platform proactively operates seasonal campaigns designed to make the best use of tools and resources. “All of our seasonal campaigns have specific tips on how parents can be active participants in their child’s education,” Park said. Using these campaigns as guides, parents have options for how to best support their child’s education. As the school year ramps up, so does Learning Heroes’ Super 5 campaign, which features five strategies to help students succeed in the coming semesters. The strategies include establishing how well-prepared a child is for grade-level tasks and what they’re excited or nervous about learning; speaking with teachers about expectations for the coming year; sharing information; and parents learning how they can help out at home. It also provides strategies for making learning fun, best practices for celebrating hard work, identifying strengths, and supporting social, emotional, and intellectual development. When test time rolls around, the Spring Forward campaign swings into action. This program teaches parents to help children prepare for annual tests in math and English and helps parents better understand what content and skills the tests evaluate. To these ends, Learning Heroes connects parents to practice tests, tips for helping children cope with test anxiety, guides to understanding and interpreting test results, and how to discuss these topics with teachers. Once test time is over, the school year begins wrapping up and students start getting ready for summer. Unfortunately, most students lose some two to three months of academic progress while school is out of session. “A lot of kids — and especially underprivileged kids — don’t have access to resources over the summertime, so they start the next school year behind,” Park said. To remedy this problem, Learning Heroes teams up with National Summer Learning Association and National PTA to operate the Summer Stride campaign, which provides tips and resources that help use the summer months to prepare for fall. These include topics to discuss with teachers before the school year ends, how to get a holistic view of a student’s capabilities, and ways to develop a child’s academic and life skills through everyday activities. “We’re giving parents tips on how to make sure they use the summertime productively, so they’ll start the next school year ready to learn. But that doesn’t mean summer won’t be fun — there are so many fun ways for kids to learn and grow over the summer,” Park said. Learning is an end in and of itself, but success in public school should lead somewhere — specifically, to higher education. That’s the purpose of Learning Heroes’ Readiness Roadmap, a resource that incorporates many of the seasonal campaigns’ resources but goes beyond them to broach the topic of college. Learning Heroes has found this to be top-of-mind for many parents, not least because of the expense. “Based on research that we did, three in four parents expect their child to go to college, and yet they’re really worried about how they’re going to pay for college,” Park said. The Readiness Roadmap includes a five-part plan to begin preparing and saving for college. These resources — which are provided by the College Board, the ACT organization, and the Office of Federal Student Aid — delve into the various aspects of college prep. Topics covered include saving money and ways to fund college, like 529 savings plans, prepaid tuition, and Coverdell Education Savings Accounts. It also addresses the types of financial assistance available, how to qualify for it, and tips on managing student loans. Other planning resources aim at establishing what students want to get out of college, which schools to consider, and how to go about applying and presenting themselves as strong candidates for admission. The Readiness Roadmap also provides a checklist and tips for establishing a strong academic foundation that will provide maximum benefit when children reach college age. Through the Readiness Roadmap, parents and children can better understand how to prepare and access the tools that will help them get a solid head start. As the truism goes, learning is a journey, not a destination. The same is true of Learning Heroes’ work; the organization is continually researching and introducing new resources to benefit parents and students. 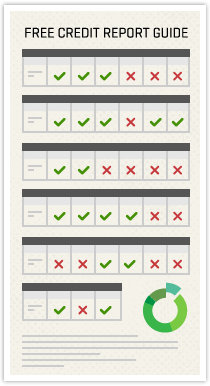 One upcoming addition to the website is Readiness Check, an online tool that indicates how prepared a student is to return to school. “The child answers three to five questions in reading and math, and based on how your child answered those questions, it gives you an idea of how well your child has mastered the foundational skills they need to be successful the following year,” Park said. Learning Heroes plans to launch Readiness Check in time for the start of the 2018-2019 school year. In the meantime, parents can take advantage of Summer Stride resources to help their children begin preparing for the next step in their educations. As Learning Heroes’ guides and resources show, taking these small steps now is crucial to building the path to a bright future.